Important General Membership Meeting — Tuesday February 3! We’ll be focusing mainly on plans for the upcoming State Rent Law Renewal Campaign. As we’ve reported to you, MVUT has been working hard for the last couple years anticipating this campaign. The laws — Rent Control and Rent Stabilization (the Emergency Tenants Protection Act – ETPA here in Westchester, Rockland and Nassau) are “emergency laws” and they “sunset,” i.e. expire on June 15. We’re confident that the rent laws will be renewed — but they must be strengthened!! Our state legislators in Westchester will plan a key role in this campaign, so Mount Vernon tenants and tenants throughout Westchester have to be effectively involved. We’ll start discussing how we’ll do that on Tuesday, February 3. Please make every effort to attend!! 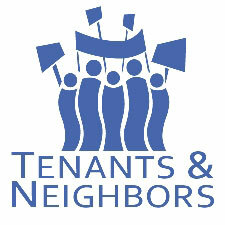 Support Tenants’ Rights! Support Affordable Housing! Support MVUT! 1. Repeal Vacancy Deregulation: Most rent controlled and rent stabilized apartments lose their regulation when they become vacant and the owners make (or claim to have made) improvements that jack up the rent to $2500 or more. Once an apartment is de-regulated, the owner can charge whatever the market will bear. So owners have great incentive to get regulated tenants out. That often leads to harassment and to some owners trumping up charges against the regulated tenants – such as claiming the tenant doesn’t actually live there (“non-primary residence”) or that the tenant has not paid the rent when the check was sent. It also leads to some owners to fail to make needed repairs. As a result, New York City has lost some million affordable apartments due to vacancy deregulation. That law must be repealed. 2. Repeal the Statutory Vacancy Bonus: Even where an owner doesn’t want to make major improvements to a vacant apartment, that apartment can still be deregulated when the rent is at least $2500. Owners now get a bonus of up to 20% every time a regulated tenant moves out. That encourages owners to oust regulated tenants and gets the rents closer to $2500. That would de-regulate the apartment forever. 3. Reform the Preferential Rent Loophole: “Preferential rents” occur when a landlord offers a rent stabilized apartment for less than the legal regulated rent. (That legal regulated rent is sometimes higher than whatever the market will bear – because of Individual Apartment Improvements [IAIs], Major Capital Improvements [MCIs], automatic 20% increases for every vacancy, and Rent Guidelines Board rent increases.) As of now, when tenants with preferential rent renew their leases, landlords can raise rents all the way up to the legal regulated rent, which can be hundreds of dollars higher than the preferential rate. That needs to be reformed so that preferential lease renewals must be offered based on the lower rate, and only allows landlords to jump up to the legal regulated rent if the apartment becomes vacant. 4. Reform Major Capital Improvement increases: When an owner does work that benefits a whole building, that is a “Major Capital Improvement” (MCI). The owner can ask the state housing agency for a rent increase to cover his costs. Under the existing law, that rent increase is permanent even long after his costs are paid. Tenants need Major Capital Improvement rent increases to be temporary surcharges, rather than permanent additions to the rent. When a building-wide improvement is paid off, the surcharge should disappear. MCI rent increases should not be compounded into the monthly rent for the purposes of determining rent increases when tenants renew their leases. There should also be a standard cap on MCI payments, so no tenant could be charged more than 6% of the total rent (above whatever the lease says or the Rent Guidelines Board orders) in a given year. Today rent controlled tenants can be charged up to 15% of their rent for each MCI, while rent stabilized tenants have a 6% cap. 5. Protections for Former Mitchell-Lama and Section 8 Tenants: When buildings constructed before 1974 leave Mitchell-Lama or Section 8, the tenants generally go under rent stabilization. But the tenants in buildings constructed from 1974 on find themselves without any rent protection at all. So rents can shoot sky-high. They need the same protection as those in pre-1974 buildings. And tenants in those buildings constructed before and after the magic date need protection from a loophole called “unique or peculiar circumstances” by which landlords claim just leaving the program justifies huge rent increases. 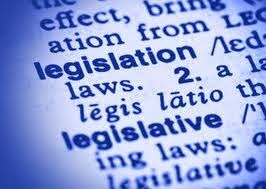 That protection currently exists in a DHCR regulation – but should be strengthened by being in the statute that the regulation interprets. 6. Eliminate Illegal Fees: Landlords now often demand surcharges when a tenant installs an appliance – even where the tenant pays for electrical utility service. That should be stopped. 7. Protect Rent Controlled Tenants: Right now, tenants in pre-1947 apartments must pay 7.5% rent increases annually under the “Maximum Base Rent” system. They must also pay special increases for higher fuel and labor costs. These tenants needs to be placed under the Rent Guidelines Board (NYC, Nassau County, or Westchester County) so they’re in the same boat as rent stabilizedtenants. 8. End Source of Income Discrimination: Make it illegal for landlords to deny tenancy to people who pay their rent using Section 8 vouchers or any other forms of rental assistance. This discrimination is already illegal in New York City, but not elsewhere in the state. 9. Reform the Individual Apartment Improvement (IAI) increases: When a landlord makes an Individual Apartment Improvement (such as putting in a new stove), the tenant pays 1/40th of the cost of the appliance and labor as a permanent part of the rent. Tenants need to have DHCR approval of these costs, and a better reporting system.